Every year we travel to Grandma and Grandpa Lopez’s house in San Antonio for Thanksgiving. 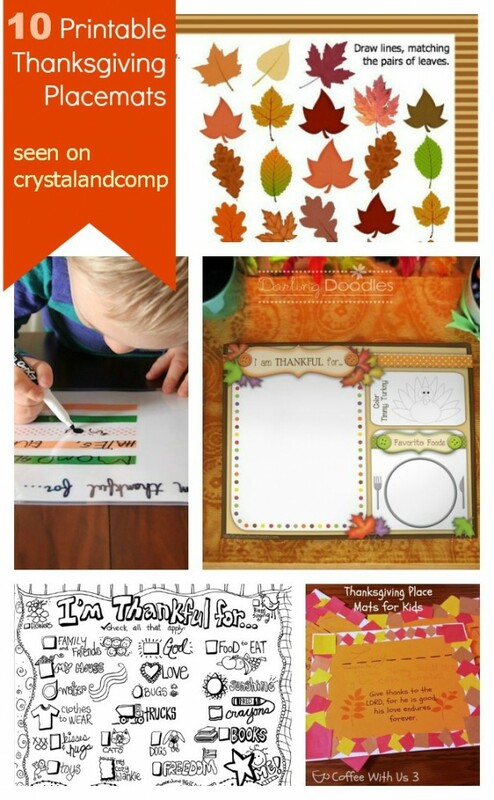 I love the idea of utilizing some of these printable Thanksgiving placemats for the boys to doodle on while we’re traveling and on Thanksgiving Day as my mother-in-law and I get the turkey dinner done. Activity Thanksgiving Placemat by Spoonful has a same and different section, a maze and a color area. Happy Turkey Day– I love this one that shows how your place setting should look and let’s the kids color and create. DIY Dry Erase Placemat– love how this one is reusable and let’s them be creative. Thanksgiving Dot Game and Word Search Placemat– this one is great for older kids and it is all Thanksgiving themed. Happy Turkey Day Placemat– full of jokes, coloring and activities! What Are You Thankful For Printable– this one is in color and it gives kids and grownups a place to write what they are thankful for. Give Thanks to the Lord Placemat– free printable template and you decorate with crayons and construction paper. Find Matching Pairs of Leaves Placemat– colorful and perfect for little ones! Thanksgiving Word Scramble Placemat – perfect for bigger kids. I am Thankful For…. Check All That Apply– this is a cute placemat that is full of fun check boxes. Which one will you choose? I love them all! Thank you!!! My mother in law sent me a message that she needs all of my boys (and nephews) to be calm all day on Thanksgiving because she is hosting her family for Thanksgiving. There are 5 grandsons…the oldest is 7. I have no idea how she plans on “calm”, but I’m kinda stressing out. I think I’ll print out a variety and let the boys pick. This should at least keep them calm during the meal, I hope! Great idea Jackie! What I love about these is there are so many different activities on many of them. So, it should keep them pretty entertained through dinner. And grab some of the books I listed at the library and you guys can read afterwards too. 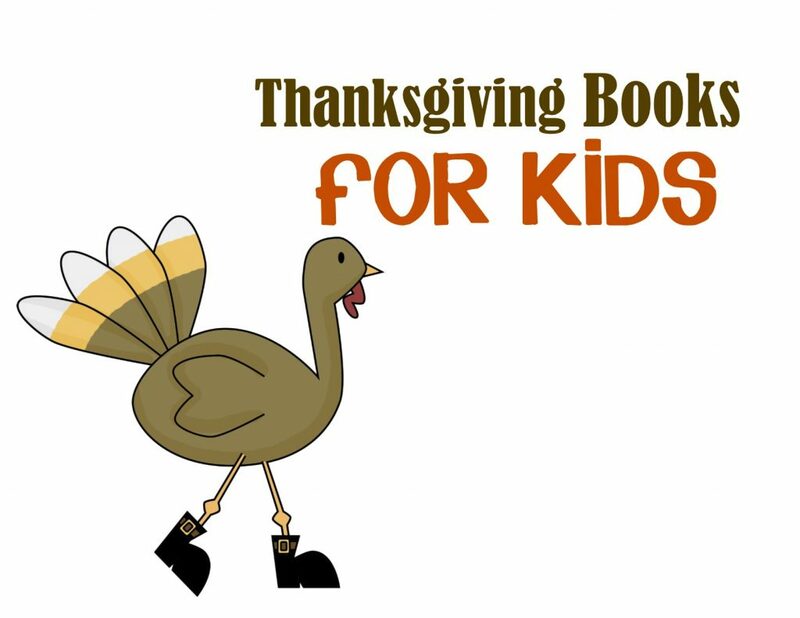 So many interesting facts in some of those books and other stories (like 10 Fat Turkeys) they’ll find hilarious! I asked my SIL if I needed to print any out – she said, no – there are only two kids. Guess what I’ll be doing Tuesday and Wednesday. Printing them out. For me! Thanks for all your awesomeness on the blog. Wishing you and your family a great Thanksgiving. This is a great roundup of Thanksgiving placemats. I wish my daughter was still young. I know she would love these. Thank you for bringing this great post to the In and Out of the Kitchen party. I have pinned it and shared on Facebook! See you next week. What a fun idea! I love this for a ‘kid’s’ table! Theses are great! Thanks for sharing! These are amazing. With having two great-nieces (18 months and 4 years) at Thanksgiving this year, I am hoping that we can keep them occupied and not too overwhelmed. We are trying to get dinner served and finished right at their nap times so that we don’t have little grumpy girls. Thank you so much for sharing. I will definitely be printing out all of these.